All of the below information comes directly from job reviews written by Change Agents UK employees based on 55 reviews. Getting to engage with our motivated Change Agents. Particularly the Sustainability Projects Assistants who are working on Green Impact, they are so passionate about what they do, it hard to not be inspired! Also the learning opportunities available through support and the online academy. Use the 400 word count for your cover letter and tailor both your cover letter and CV to the role you are applying for. If you are asked to do a presentation, make sure you have done lots of research and that it is engaging to look at and listen to. Read the key responsibilities and the job criteria and think of possible questions that may be asked around them. Have questions in mind for the end of the interview. Don't settle for anything you're not passionate about. I did a lot of volunteering before this job because I was passionate about sustainability and my circle back then was trying to discourage me from "wasting time" on non-profitable activities, but it was all this voluntary experience that distinguished me from other candidates and gave me the job. Be fun and enthusiastic. Try to demonstrate a broad range of experiences rather than talking about the same role all the time. Practice possible questions. Make sure you do your research about the organisation and throw in a couple of facts about them to impress them. Use the STAR technique but also following it with what you learned and how you link it to the role. Brief and to the point applications. Research the company, practice presentations. I feel as though my degree was a baseline to getting an interview for the job, and in my interview, I talked more about experience I had outside of purely studying, so it would be very helpful for candidates to have relevant experience. I also felt that I was able to show a genuine interest in the role because sustainability is something that I care about personally, and I think that came across in my application and interviews. I think showing passion and confidence is important. - How would you motivate people who are not necessarily interested in the environment to engage with sustainable behaviours? Look at the potential within a role, and the values of the company that you are working for. Work is enjoyable if you are in an environment that fosters learning and challenges you to progress. The worst thing in an interview situation is to be unprepared. How do your skills and experience relate to the role? What do you have to offer the organisation that they don't even know they need. Prepared candidates are a breath of fresh air! Find what would motivate you in that role and let that shine through in the application. What is unique about your skills and character that would suit that role? Do your research about that sector before the interview. For example, my role was about household food waste minimisation. So I researched information about the level of food waste in the UK, and the environmental and economic impact of that on the household food waste on themselves and local area. I also looked at schemes that had already been run with similar aims. I also practised competency questions, with examples of when I displayed particular skills. Research the posistion/job role beforehand. Arm yourself with lots of good examples of how your skills match the role. Prepare a presentation that illustrates your deep understanding of the organisation's aims and objectives. Think widely and creatively about the role - this organisation values ideas. Be prepared to give lots of concrete examples of how you have worked and what you have achieved. Also spend time reflecting on your own working style. Focus on strengths, not on the best phrasing of strengths. If applying for a job through Change Agents follow all of the recommendations given in the application process and ask for feedback whenever possible. If applying for a job through Change Agents follow all of the recommendations given in the application process and ask for feedback whenever possible. I was asked during the phone interview a question where I would see myself in five years time and also a range of questions that related to the specifications, although specific, fixed responses would not be applicable and be prepared to adapt your revised answers to the questions asked. Highlight your project management experience, connecting your soft skills with the ones required for the job to give a unique profile. Sound enthusiastic about tackling new challenges, about going the extra mile. Study the area and tasks, but most importantly, think of ways to link your experience with those tasks. Be relaxed. The interviewers were all dead friendly. Re-read every application and get someone else to read each one too. You end up applying for so many which are so similar it's easy to get confused between different job specs. Be confident and friendly. As long as you have some relevant experience, what the employer wants to see is that you will fit in well in the team. Be passionate, proactive and enjoy working with people. Do your research and make use of any hints and tips provided. It's easy to apply, it is a fantastic learning curve and a great first job in my career. The experience I now have is really good for my CV and I have met some really useful contacts that I know I will still be in contact with throughout my career - regardless of whether I change jobs. Stay calm, prepare well for your interview and be confident in what you do. Ensure you are passionate about sustainability. This is best shown through volunteering experience in the environmental sector. I have found this experience critical when applying for environmental jobs and your passion is definitely needed to be a SPA. If you are applying to be a SPA at a University make sure you have researched the sustainability issues that Universities face- eg. energy, procurement, waste management. Use the STAR technique to answer questions regarding your skills. There will most likely be a question regarding your abilities to project manage and communicate sustainability effectively as well as which area of sustainability you are most interested in. Pay close attention to the shortlisting criteria, and utilise the resources that Change Agents provide to help you be successful. They provide feedback for interviews- take them up on this! You'll receive a preparation sheet- use this. You should also consider that the duties in the job description are often in number of importance relative to the position e.g. number 1 being the most important. Practice your answers, take a deep breath before you start to talk,and use the STAR formula. Extremely good role, very pleasant organisation to work with, help you all the way through your career. Be Confident and do your best. Read the application form thoroughly and best correspond your achievements with the skills/requirements of the position. Prepare, read about the organisation, be passionate. Embrace the opportunity as a valuable opportunity for development and career progressing - it's not a 9-5 job where you know what you'll be doing day in day out and that brings variety and opportunity and really pursue the aspect of the role that interests you the most. Be relaxed and show the interviewers your true character, the personality of the individual has to fit well into the team and so it is better for both parties for that to come across well. Clearly demonstrate your ability to make positive contributions to sustainability projects, and make use of the support and guidance that Change Agents provide prior to the application submission and interview stages. Use the STAR technique whenever possible! Some of the questions I was asked required me to think about the challenges I might face in the role (e.g. How would you go about engaging teams who are fed up with taking part in the project? ), so spend some time thinking about what the role will entail and how to tackle any problems that could arise. Since a lot of what we do is about recruitment, we really know what we're looking for in a well-written application. The first advice I'd give people therefore, is tailor your application! 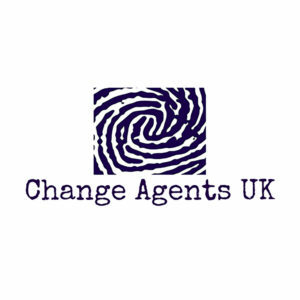 Change Agents' are looking for motivated people with an genuine interest in the role. Pay attention to learning resources CAUK offers - there are tips on what they are looking for in CV and CL on Change Agents Academy! Avoid simple mistakes. READ the application properly - many things / questions can be avoided if you read through. Simply be enthusiastic about the job and work we do. For any environmental role through Change Agents UK: Make sure you can show your passion and dedication for the environment. Make sure you are somewhere quiet and comfortable for the telephone interview! Enthusiasm and a positive outlook is important for this role, Having knowledge in the area of waste management and project management is a necessity. Working to tight deadlines and motivation throughout the projects is vital. Need to have up to date relevant knowledge of waste management in the context of household waste collection and disposal. Showing that you can interpret key knowledge and translating it and communication it effectively to suit the different audiences would be very useful. As well as having good knowledge, you must be proficient in communicating with the public and possibly other groups. Having the ability to explain issues in a way that can be understood by diverse groups (from the level schoolchildren may understand, to that of a councillor) is very useful. Always study your person specification and job description well. The employer will most likely model their questions around the person spec - and follow it closely. They may add in the odd question such as "Do you feel you are creative in your work? Do you have examples of this?" and "What motivates you?" - but generally, in terms of what they really want to know - can you do the job - they will stick to the person specification. Be confident and research the company. Read articles and news so that you are up to date with the industry you are applying for. Be positive, friendly and honest. Research the company and interviewers before hand and arrive 15 mins early. Get stuck in and learn. Be yourself, a positive attitude is the most important part of the job. Preparation, preparation, preparation! Learn as much as you can about the placement you have applied for and incorporate that knowledge in all stages of the application process. Know why you're applying for the role, if you have a genuine passion for the post, this will shine through and your answers will come easily. Read their interview guides- really good. Apply for the roles you would be most interested in and demonstrate why you would find the opportunity useful. Clarify what you can offer and demonstrate understanding of the host company. Ask questions to ensure you are fully aware of what is expected of you. Always do extensive research on the company. Making sure you state in your application and give an example how you obtain every section criteria! Have a good answer to why you are motivated to the role and how it fits in to your long term career plans. During the interview I was asked questions which address every selection criteria - so always prepare and answer for each one! Be yourself, personable and show your confidence in yourself and your abilities. Tailor your CV and cover letter and make sure that you have examples of all the essential and desirable criteria! Change Agents always ask questions based on the person specification, so make yourself familiar with this. Before your interview, they'll send you and advice note on structuring answers in interviews, so pay attention to this and you'll be fine! Make sure you research the job role thoroughly and thus tailor your application accordingly. Employers want to see you stand our from the crowd. Prepare to expect the unexpected: think of out of the box and prepare for questions that may ask of your weaknesses. Read about a companies guiding principles and think about how these are reflected in you. The most important thing when choosing a place to work is make sure you'll be happy; this comes down to the type of place you work and what they believe in. Being honest/real, enthusiatic and inquisative are normally good attirubtes to portray. Be self-aware during your interview and remember that (at the end of the day) you are talking to people - they are just people! If you start rushing answers, rambling or loose your thought then say. A big plus in my interview is that i made the interviewers feel relaxed. I went in feeling like they wanted to find reasons to hire me, not reasons not too. This was down to their good interviewing technique and likeability too however. Always be clear and concise and try to make sure you stand out from the crowd. Show your initiative, know your social enterprises & how can you work on your own? Do the research - show practical examples how can YOU make a change within social entrepreneurial sector, what are the main barriers. Make CV as detailed as possible because CAUK do not accept application forms or covering letters. CAUK try to employ recent graduates who tend to have less experience than others so don't let lack of experience put you off. Be enthusiastic in the interview. Tailor your CV! Show passion and show where you think the job will take your career. Why is it the next step for you? Think of specific examples of ways you meet each of the job criteria. Change Agents UK interview questions always match these criteria exactly and you will be scored accordingly. Research the company. Preferably do an internship beforehand to highlight your interest. You must be personable and enjoy getting stuck in. What is your greatest weakness? - Always structure your answer to show you are improving yourself to overcome this weakness. Make sure your answer would not affect your ability to do the job. Go for a full-time position if possible. Mission creep easily occurs, which makes handling all the different outreach and engagement tasks very difficult on just a part-time position. i.e. be informed about the university's current sustainability policy/initiatives/schemes, etc. Be friendly and outgoing. Don't be shy and ask questions - shows that you've engaged with the position. Include experience you've had advising people and/or in working with the public and communities and also any connection you have to domestic energy efficiency advice knowledge. Just be yourself; everyone is friendly at Change Agents UK and wants the best out of you, so try to relax! Since a key part of being an Energy Advisor is getting the resident on-side so that you can encourage them to make changes in their lifestyle and habits, you need to be able to get the message across in a friendly and easily-understandable manner; therefore being a 'people person' and a good communicator is often more important than the technical energy knowledge - so let your personality shine through in the interview! Also brush up on domestic energy efficiency advice, especially regarding key energy-saving tips around the home and heating system and what national grants/funding is available, e.g. for insulation and new boilers (e.g. ECO/Green Deal). Tailor your application to the selection criteria! If the role says it needs someone who is X, Y, and Z then don't just tell them everything you have done, show them how you fill those criteria. Afterwards in the interview you can expand on your other fantastic traits and show them that you are a fully rounded candidate with who is perfectly suited to the role. Organisational and relationship building abilities are a must in this business, work on these and you'll shine. Sell yourself with achievements and research the role well. Be confident, prepare answers, listen well, and spell out your answers clearly to help the interviewer. Know how to organise and prioritise your work load. Know about sustainable drainage, Arc GIS and local government ways. The Ethics. Both in our approach to recruitment and our working environment. Depth of role- lots of different tasks etc. Opportunities to take part in external events. Disparity between CAUK and my host organisation. Company culture - ability to adapt your role to your interests. Change agents provide a lot of support in terms of training and advice and organising the space to communicate with other graduates undertaking the sustainability assistant role. I feel that a 9 months contract is too short / position could be full time to achieve the full potential of the placement. The support I was given at the start of my job. I was able to partake in training courses for free to help my CV. I am no longer eligible to do the training courses as my contract has been extended. Good programme for professional development.